All our software can be installed either on your own server under your direct control, or alternatively in the cloud. The choice is yours. With clearString you can create the most sophisticated data-driven web-delivered projects, without a line of code. You get to concentrate on the design and the business logic to control what it should do, and the software worries about the how. The Enterprise version of our sophisticated software for creating data-driven solutions, without a line of code. 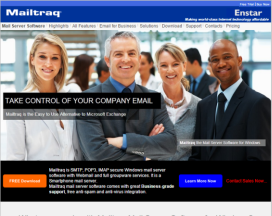 Mailtraq is the ideal Microsoft Exchange Alternative: easy to deploy and simplicity to manage. Low license cost, no server-CALs and stability in operation make Mailtraq email server software the choice for all SMB and SOHO businesses. It does everything you need at a great price and without hassles. 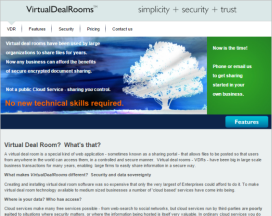 VirtualDealRooms enables you to share the documents you need easily and securely. VirtualDealRooms software installs into a standard Windows computers that you control so you have total control over data location and who can access your data 'behind the scenes'. 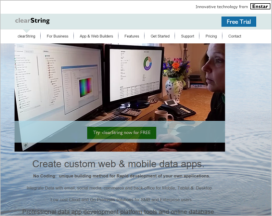 ClearString provides a sophisticated development environment for web sites, intranets and extranets. 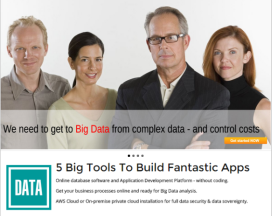 neatComponents provides Enterprise functionality for larger applications. Mailtraq is an affordable and easy to manage alternative to Exchange. 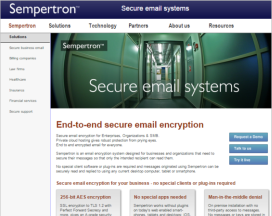 Sempertron provides a secure messaging system for encrypted email communication. Virtual Dealrooms provides a secure document sharing environment.